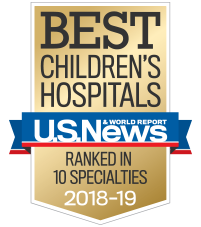 ATLANTA (November 19, 2018) - Children’s Healthcare of Atlanta at Egleston has achieved Magnet® recognition for its dedication to nursing excellence. Conferred by the American Nurses Credentialing Center (ANCC), the world’s largest and most prestigious nurse credentialing organization, this honor is the highest international distinction a healthcare organization can receive for nursing care. The Magnet Recognition Program distinguishes healthcare organizations worldwide that demonstrate superior nursing standards in the delivery of quality patient care, leading to the highest levels of safety, quality and patient satisfaction. Reaching Magnet status signifies Children’s demonstration of excellence and outperformance in each of these areas. To achieve Magnet Recognition, Egleston was required to demonstrate an exceptional practice environment for nurses and meet high standards for patient experience. This lengthy process included an electronic application, written patient care documentation, an on-site visit in September 2018, and an official review by the Commission on Magnet Recognition. Cole and Bova received the official designation results call from the ANCC Magnet Commissioner today, Monday, Nov. 19, joined by Vice President of Nursing Lorisa Williams and Nursing Practice and Magnet Director Kristen Cranmer. Egleston nurses were gathered in the room to hear the call, and additional staff across the System tuned into a livestream video on the Children’s Facebook page to participate remotely in the celebration. Children’s Healthcare of Atlanta at Scottish Rite will complete a three-day Magnet site visit later this month with official review by the Commission on Magnet Recognition to follow by early 2019. Children’s Healthcare of Atlanta at Hughes Spalding will also complete appraisal for designation by the ANCC Pathway to Excellence® Program in 2019.